I went out this weekend to check out the foliage in northwest Connecticut and it seems that the color will be coming very late this year. The good news is that the photos that I took a couple of weeks ago in northern Maine show that the colors are on their way. I have been anxious to use the new Fuji XT-3 and this is the first photo that I have posted with it. It is an impressive upgrade and is what you would expect from Fuji. This is a photo from the Abol Bridge on the Golden Road. 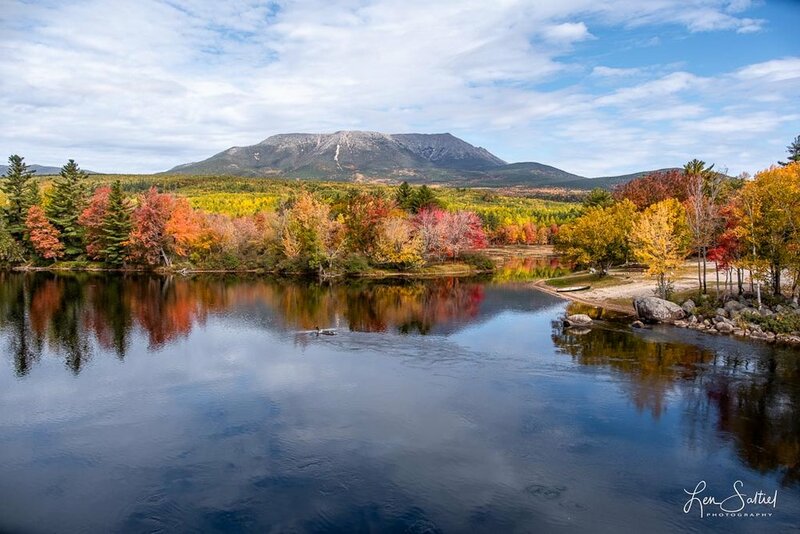 The view takes in Mount Katahdin, the highest mountain in Maine, and the Penobscot River. The mountain was named by the Penobscot Indians and means “The Greatest Mountain”. It is well known by serious hikers who know that it is the grueling northern terminus to the 2,000-mile Appalachian Trail.